Lowered the green tones, removed some blemishes and wrinkles and added smooth skin and makeup. 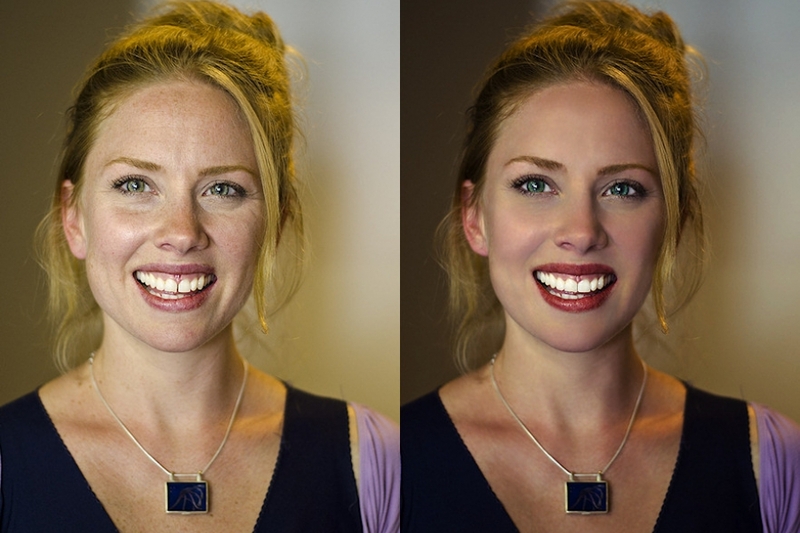 Color Correction	Gallery: Photo Retouching Portfolio	Description: Lowered the green tones, removed some blemishes and wrinkles and added smooth skin and makeup. Views: 3003	Loves: 0 love it!